Celebrating 2013 as fourteen years and counting on the World Wide Web! ...because a picture’s worth a thousand words per minute. is a perpetual, non-profit corporation formed on November 1, 1993 by a group of about 22 hams from North Carolina’s “Triangle” area (Raleigh - Durham - Chapel Hill). The initial goal of the Association was to form an independent local organization that would promote Amateur Television in the Triangle by building and operating a state-of-the-art, wide-area coverage, ATV repeater. The Triangle ATV Association has regular quarterly meetings on the third Wednesday of the months of January, April, July, and October. Our next meeting will be held on Wednesday, October 16th at 1830L (6:30 pm) at the Golden Corral, 5006 Apex Highway (NC Highway 55) near Research Triangle Park (see map). RSVP if possible to [email protected] if you plan to attend. The TATV video nets over the NC4TV repeater take place on Wednesdays at 2030L (8:30 pm), so get your gear in shape! You don't have to have ATV transmit capability to join in on the fun, because talk-back will take place over the DFMA 147.225 MHz repeater. Just tune into cable channel 57 and point your antenna toward TV Hill. 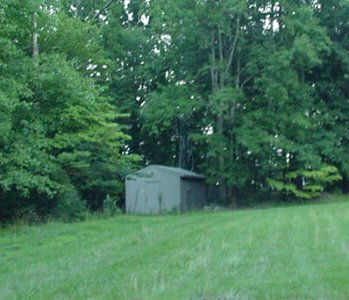 In March of 1996, thanks to support from the Durham FM Association and the Raleigh Amateur Radio Society, The Triangle ATV Association’s repeater was placed into service using the KJ4SO callsign of William “Woody” Winstead, now a silent key. In January of 2008, the current club callsign of NC4TV was issued. 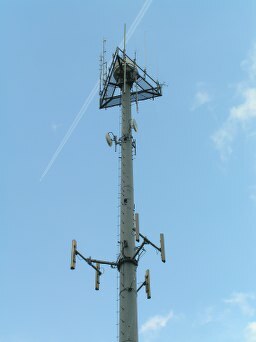 The repeater is located atop TV Hill in northwestern Durham County, with a 360° view of the horizon that provides good coverage in the immediate surroundings (see map). A Second Triangle Area ATV Repeater? For specific questions about the Association, send e-mail to [email protected]. Means to send and receive video images by wireless were starting to be developed almost as soon as means were invented to send and receive the human voice. One of these, NBTV, has been around since the 1920s. ADV, the most recent, is as new as the Summer 2009 edition of CQ-VHF magazine. An ATV station doesn’t have to be expensive. Most hams already own many of the basic components required for an ATV system: an analog TV set, a VCR, and a camcorder. With the changeover to high definition TV (HDTV), many of these analog components can be had quite cheaply now, if not for free. Another approach involves modifying an over-the-air UHF analog TV to receive the 70cm Amateur Radio band where most ATV signals are found. Hams have retuned standard UHF analog TV tuners to receive 70cm ATV signals. Many of the small portable TVs that have slide-rule type tuners are very easy to retune since they are tuned by a potentiometer that varies the DC voltage to a varicap diode. You simply adjust the calibration potentiometer to “slide” the tuning range down where the 70cm band is located, just below UHF analog channel 14. Still another approach is to purchase an ATV Downconverter, which is connected between the antenna and the standard TV set’s antenna input jack. The Downconverter tunes the appropriate 70cm frequencies and converts them to a standard VHF analog TV channel. VCRs and most TVs are designed to receive TV signals from broadcast stations running RF power levels measured in hundreds of thousands or even millions of Watts. The Triangle ATV repeater operates with 245 Watts Effective Radiated Power, so the antenna used for receiving ATV signals and the sensitivity of the ATV receiver are very important. You will get the best results with a horizontally polarized, high gain beam antenna pointed toward the ATV repeater. Trees, foliage, houses, etc. greatly absorb UHF energy. When compared to FM voice systems with the same power, antenna, etc., an ATV receiver’s sensitivity is reduced by 26 dB because the receive system bandwidth is increased from 15kHz to 3MHz. With this bandwidth, the noise floor is around .8pV, so you can see that quality coax and high gain antennas mounted as high as possible are necessary to make up this difference compared to the DX you are used to with FM simplex. When it comes to ATV, as well as most other Amateur Radio VHF/UHF communications, there is no such thing as “too much” antenna gain. Antennas for ATV work must also have broad bandwidth as well as gain. Most high gain Yagi types have only 1% bandwidth, or 4 MHz at 70 cm. In ATV applications, this will give less gain and higher VSWR to the most important color and sound subcarriers - assuming that the antenna was cut for the exact video carrier frequency in the first place. 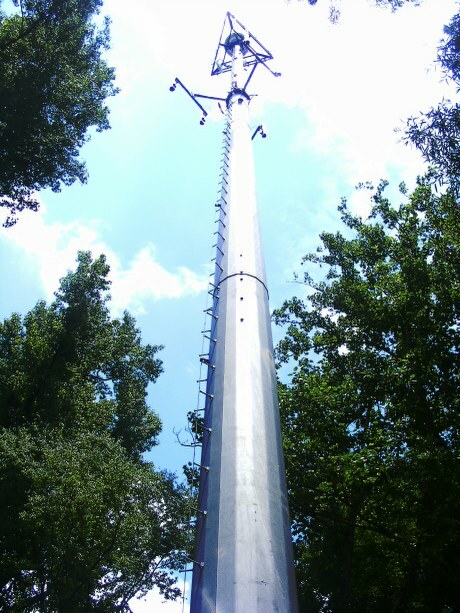 The best true references for antenna gain and performance are the results of the various VHF/UHF Conferences’ antenna measuring contests held annually and publicized in the ham magazines. Advertising claims have become mostly wishful thinking and sales hype. 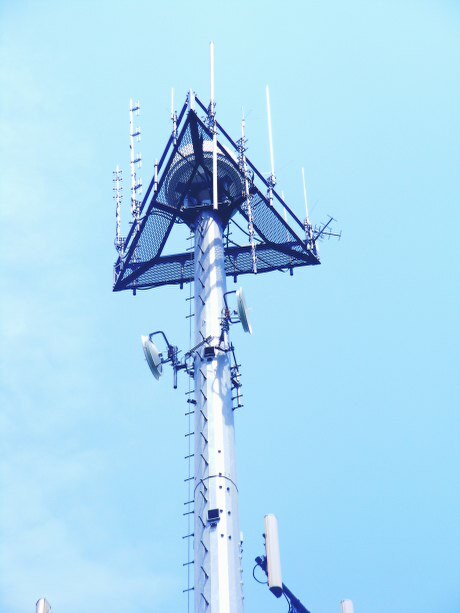 M2 and K1FO either manufacture or provide construction information for excellent ATV antennas. 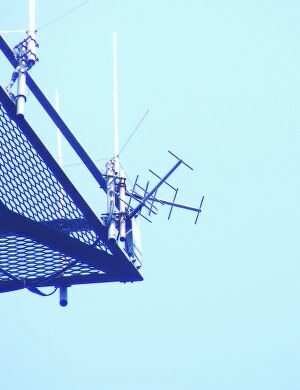 The so-called “quagi” antenna, with a quad driven element and a quad reflector, followed by a series of yagi-style directors, seems to be an easily constructed homebrew antenna popular among ATVers. If you live close enough to the repeater you might get by with using a vertically polarized 440 MHz FM antenna. Flexi-4-XL or 9913 style coax is recommended. For runs over 100' you may want to consider investing in some good copper hardline or an antenna-mounted low noise preamp. An antenna-mounted preamp can increase receive sensitivity by an amount equal to the coax loss. Use type N connectors for all coax connections. PL-259 coax connectors are not suitable for 70cm and above. You don’t need any kind of license to receive ATV. However, you must have a valid Amateur Radio license to transmit. Fortunately, even the most rudimentary Amateur Radio license currently being issued, the “Technician” license, will allow you to participate fully in this most interesting mode of ham activity. Amateur Radio exams are administered in the Triangle area by the Orange County Radio Amateurs, and upcoming exam information can be found on their website’s main page in the calendar section. The Technician test consists of 35 multiple-choice questions, and websites which allow you to take practice exams are plentiful. Study materials from the American Radio Relay League, the national association for Amateur Radio™, can be checked out from almost any public library or purchased directly from the League. Once you have your license, make contact with an area club and get some assistance in setting up your first station! Tom O’Hara (W6ORD) has written several informative articles about ATV, links to which can be found here. Is Digital ATV (“D-ATV”) The Future? Intuitive Circuits - on screen display board for ATV, repeater controller, etc. random image from TV history. - install it to see this site with the zeros rendered as the “radio gods” intended.Our pages are best viewed at 1024 x 768 resolution. Last updated August 18th 2013 by K3VSA. 73 es tnx for viewing!